Everett residents are reeling after the departure of their long-serving superintendent of schools. 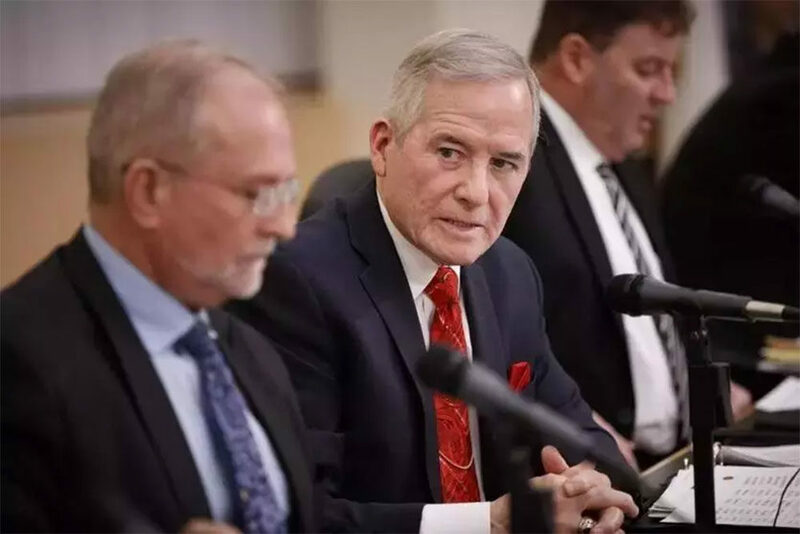 Frederick Foresteire oversaw the district for almost 30 years, then resigned suddenly in December after he was accused of sexual harassment and placed on leave. He will be arraigned later this month in district court on multiple charges of indecent assault and battery on three female former employees. Teachers and activists are now speaking out, saying that Foresteire has left the district with a climate of fear and mistrust — as well as a substantial bill. So as the city looks to a future under a new leader, many are still contending with the past. Like Don Concannon, who taught and coached in Everett for decades. He said he left for a principal's job in Malden in 2013, mostly to get outside Foresteire's sphere of influence. "The bullying that he did over the years, transfers of people unnecessarily," Concannon said. "We were all just puppets in his game." Others share that sentiment. 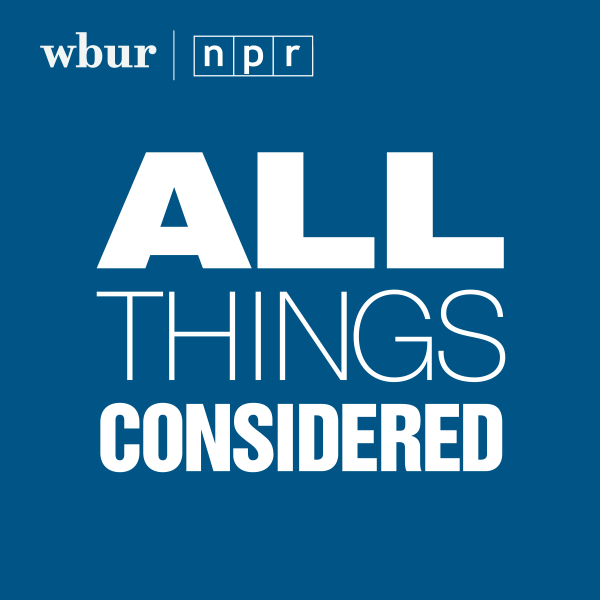 Five current Everett educators told WBUR that Foresteire instilled fear in many district staff, with his "dos" and "don'ts:" Do keep your blinds at a certain level, don't bring coffee into school buildings. Teachers' schedules, including their maternity leaves, were monitored closely. Some absences could meet with threats or docked pay. Seven current and former female employees said Foresteire explicitly preferred that women wear their hair down, with skirts or dresses, high heels and pantyhose. Teachers said they recently wore jeans as a silent protest. Even after Foresteire's resignation, most current district staff are unwilling to speak out on the record for fear that they could be transferred or dismissed. Transfers were so common, Cunha said, that teachers joked that the last day of school was like “The Hunger Games," when staff learned where they would be the next year. Today, few in Everett are eager to defend Foresteire on the record. But for years, many saw him as a leader who was tough but effective. 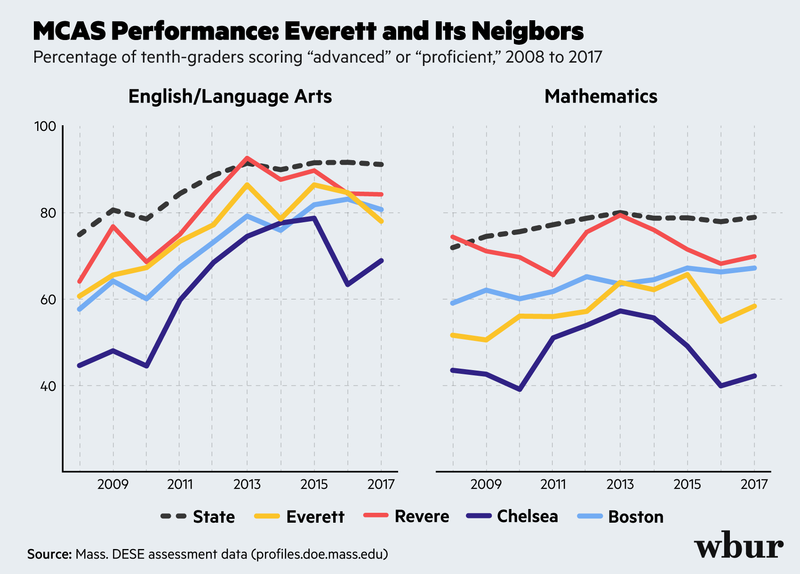 Historically, students in Everett perform relatively well on state tests when compared to neighboring districts. Their teachers earn more on average than do their peers in the state's largest 20 districts. And the beloved high school football team became a juggernaut, winning 12 state championships in the past 20 years. But a lengthy paper trail shows that the man they called "Triple F" could cross legal lines. During his 30-year tenure, Foresteire was repeatedly investigated — and once indicted — for diverting workers and property from the district he ran. State ethics watchdogs assessed him with at least two fines for that behavior. 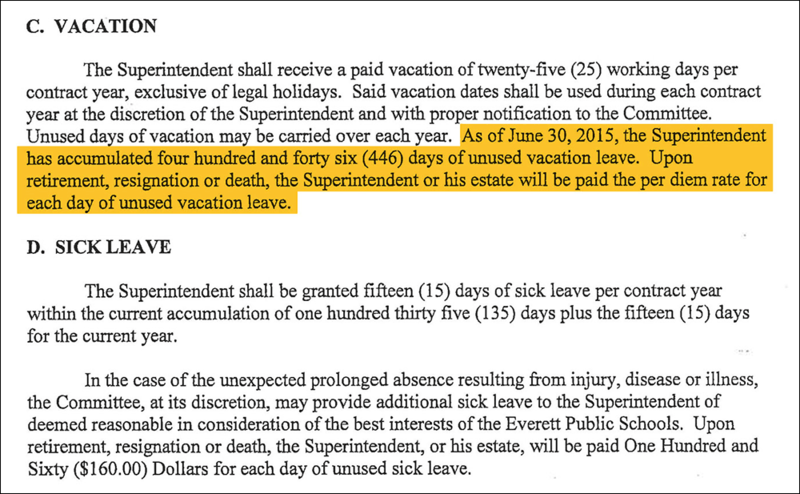 And in 2017, before the sexual harassment accusations surfaced, Foresteire told the school committee that a provision in his contract allowed him to convert decades' worth of unused vacation time into a $450,000 payout. The district has only paid him half that sum so far, but plans to pay the rest. Everett resident Mary-Liz Murray said Foresteire’s resilience isn’t a big surprise, given the temperament of her hometown, what she called "a culture of wanting to protect its own." 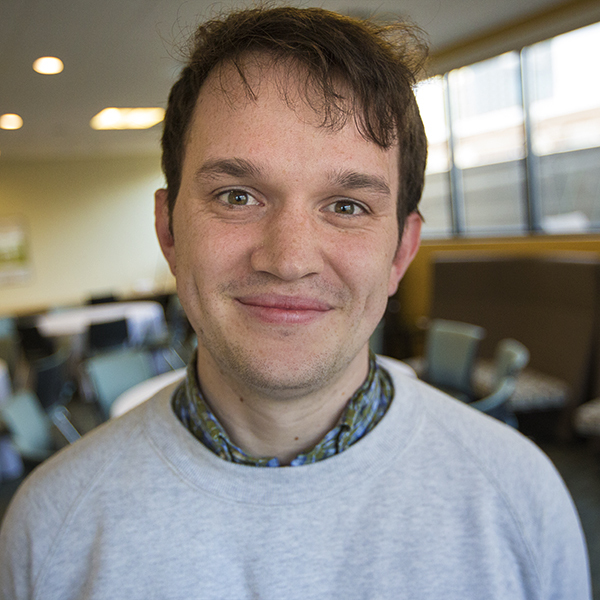 "Fred Foresteire is an Everett native — he is a product of that culture," Murray said. Murray and a handful of other residents, parents and teachers have been meeting every two weeks to push for reform, calling themselves the Everett Education Coalition. They are asking for an opportunity for public comment at the city's school committee meetings — commonplace in most districts. After the allegations broke in December, they asked for Foresteire to be placed on leave. And now they want the school committee to run "an open and exhaustive search" for his replacement. 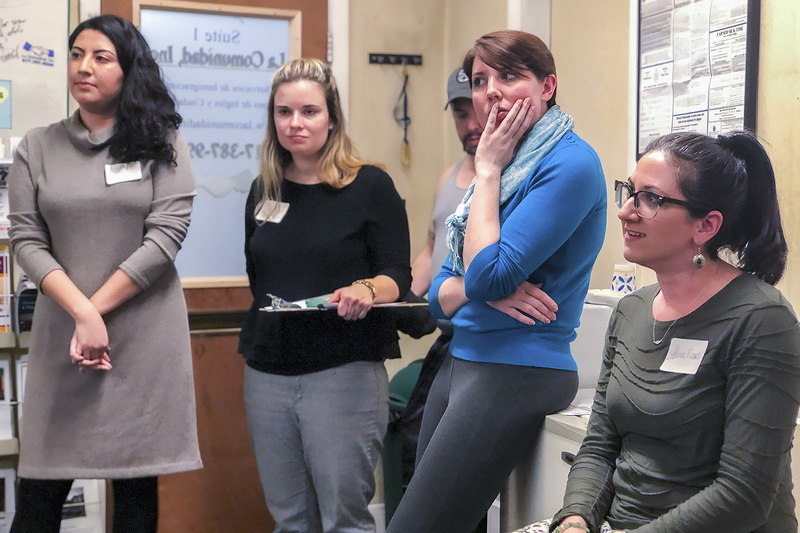 Recently, as the group prepared to meet with Frank Parker, a school committee member since 2002, a nervous energy coursed through the room. Parker looked nervous, too, as he came in; the district's trust problems go both ways. Still, he led off his remarks with a message of hope. "What I tell people is we're going to enter a period of enlightenment: more openness, more communication," Parker said. "I’m really excited about what could happen over the next couple of years." But many at the meeting weren't entirely ready to look forward. John Whelan asked for something like truth and reconciliation — a culture change for the many teachers who felt they were intimidated and displaced. "Has anyone, at any meeting, had an idea, saying, ‘We could do this to better morale, or improve our culture in this way?’ Has any conversation like that occurred yet?" Whelan asked. Parker said no, adding at one point that it was "disheartening" to think that morale had collapsed that broadly. Others worried that the legacy of Foresteire might scare away possible successors. "What I'm concerned about is, who are we gonna attract to be the superintendent of schools — seeing what has gone on here?" 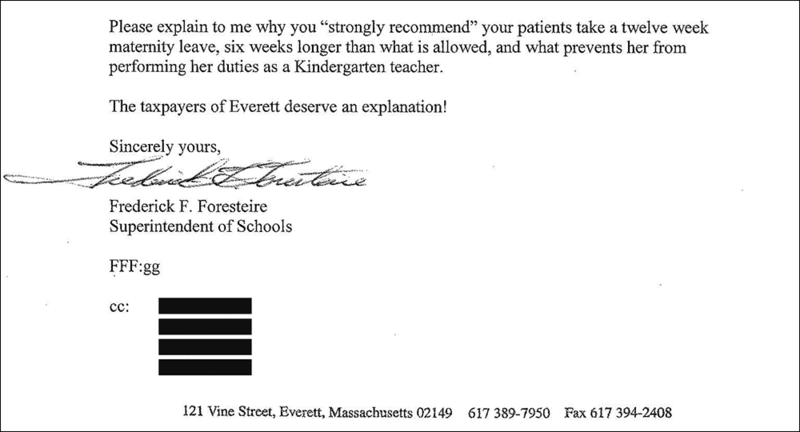 former Everett teacher Concannon asked. "'Cause it's gone on for 30 years, and it's been enabled by a lot of people." Parker replied, "Again, trying to bring in people from the community and get their input. I mean, Donny, I getcha -- but we're trying!" Parker told the coalition the committee will work with the Massachusetts Association of School Committees to run an open, professional search to find the right candidate by the end of 2019. He later said he hopes that they'll start to allow public comment at committee meetings, as well, after a planned review of its charter. But as Parker left, activists said that would only amount to a start. The education conflicts and complaints that are freely aired in other cities are still whispered about in Everett. Foresteire may be gone, but right now trust is hard to come by.